As you may or may not know, a week ago was my birthday. (Thank you!) For my birthday, I was lucky enough to upgrade my low-end Target purchased tripod to a professional grade one that will take some getting used to, all courtesy the sous chef. Therefore, some of my photography this week may be lacking. I was becoming very frustrated as I tried to figure out the tripod, and as a result my frustration showed through in my photography. I do apologize about that. 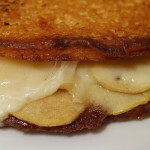 Either way, the plantain grilled cheese was top notch, no matter who ate it. As we have already touched on Swiss Cheese previously, I won’t go into too much details. I however did find this interesting tidbit from Wikipedia. 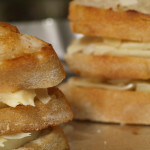 Please let me know what your thoughts on Swiss are in the comments and how you would compare it to Jarlsberg, which I loved and used last week. I actually think I liked the Jarlsberg better, but that might be because I see Swiss as a standard cheese and the Jarlsberg was a little different, while still being in the Swiss family. I had seen this cashew butter in the market months ago and was able to take a sample. It was awesome then and still is. Unfortunately, it is somewhat pricey, so we passed at that time but since it was my birthday, cost was no object. It was supposed to be used only by me, but I really wanted to try it on a grilled chees, so I did. 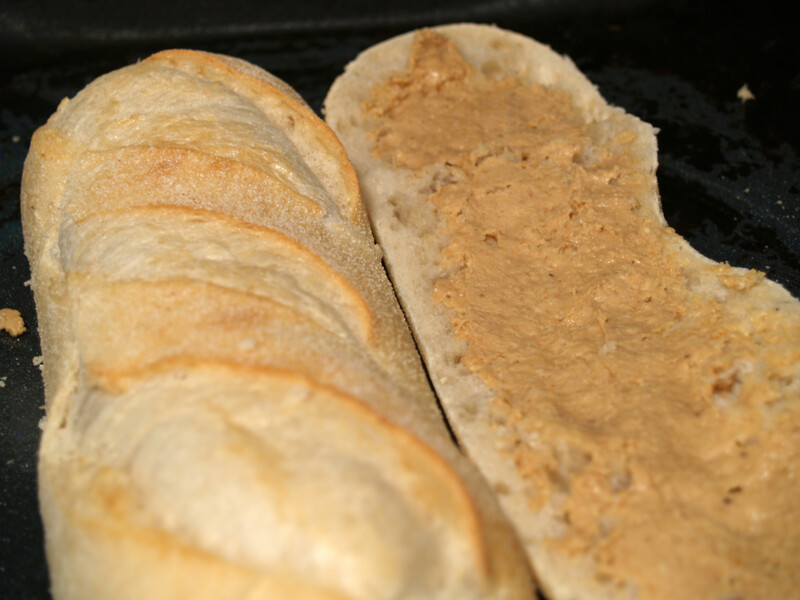 Elvis liked his banana and peanut butter sandwiches, so once I had the base ingredient of peanut cashew butter, I thought I would create an updated version of said sandwich. Instead of bananas, I went with plantains. Plantains tend to be firmer and lower in sugar content than dessert bananas. 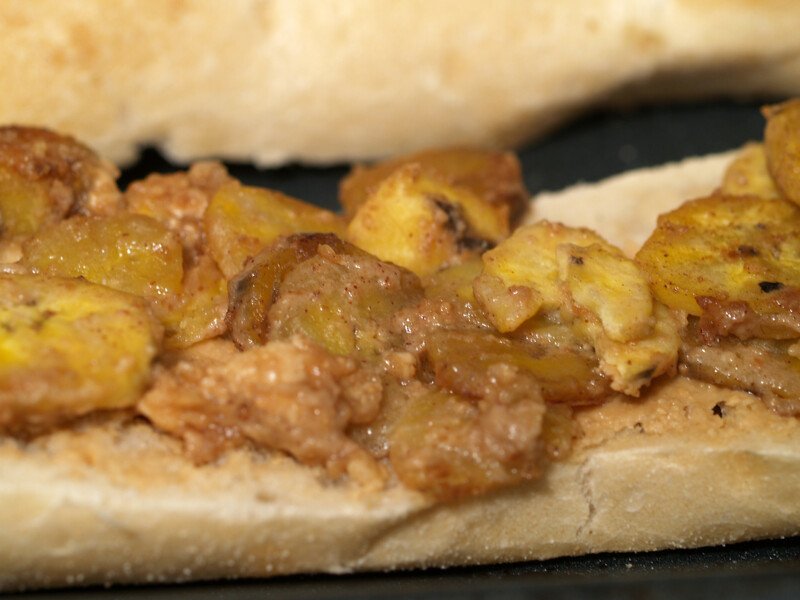 Bananas are most often eaten raw, while plantains usually require cooking or other processing, and are used either when green or under-ripe (and therefore starchy) or overripe (and therefore sweet). Plantains are a staple food in the tropical regions of the world, treated in much the same way as potatoes and with a similar neutral flavour and texture when the unripe fruit is cooked by steaming, boiling or frying. I have had plantains as chips and loved them. 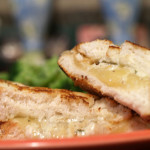 I loved them in this grilled cheese as well. They are awesome. As was the case with the mangoes previously, I am glad I went out on a limb and tried something somewhat new. I would recommend. My father had his grilled cheese on a pretzel roll while I had mine on a sourdough roll, both purchased at Whole Foods Market. (Gastrointestinal problems lead to the switch for me.) 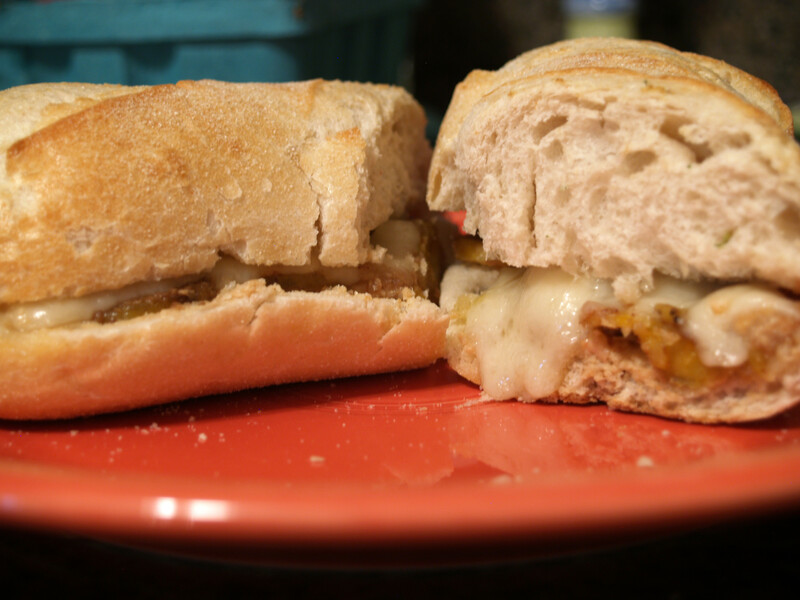 I believe that both breads were great choices, although mine might have been just a tad too crunchy, which is the only real downfall of the grilled cheese. 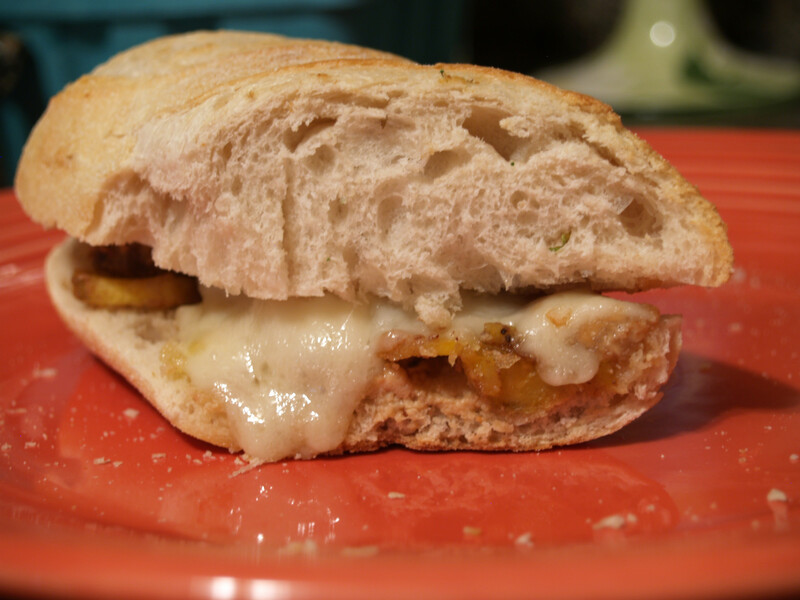 As you can see in the photo above, we only spread a small amount of cashew butter on the bread to insure that it did not overwhelm the taste of the grilled cheese. 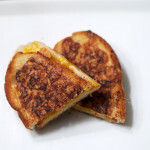 This grilled cheese was yummy no matter how you slice it. It was sweet and soft with a hint of crunchy. 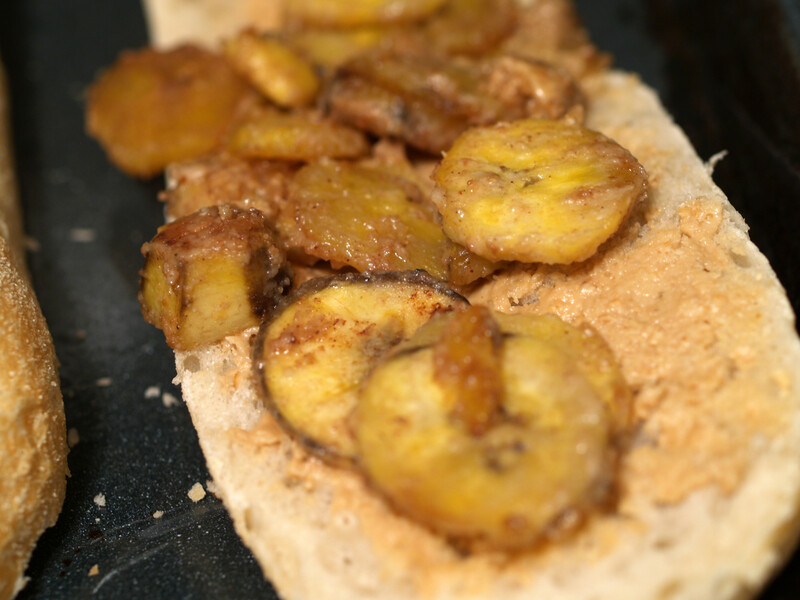 The interaction between the sweetness of the cashew butter and sauteed plantains was awesome. 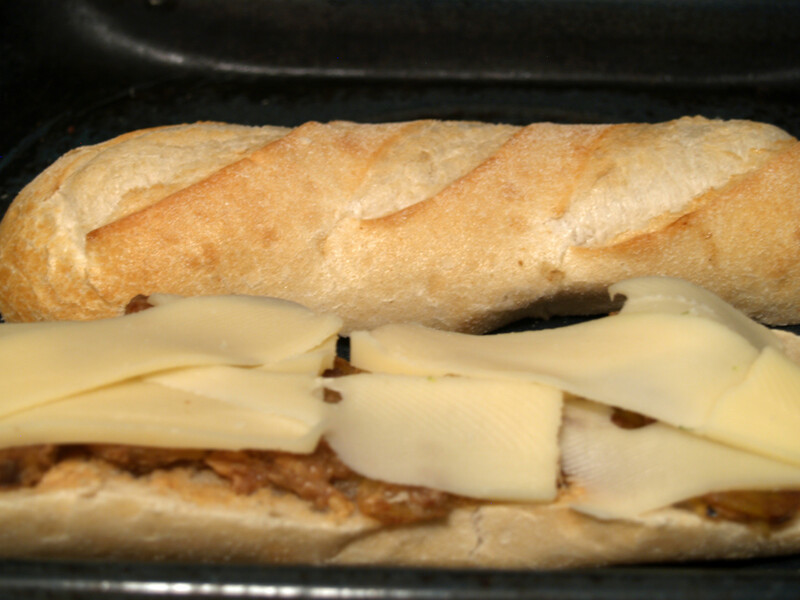 The Swiss cheese was mild enough that it worked very well with the grilled cheese and added a nice taste that was not overwhelming. 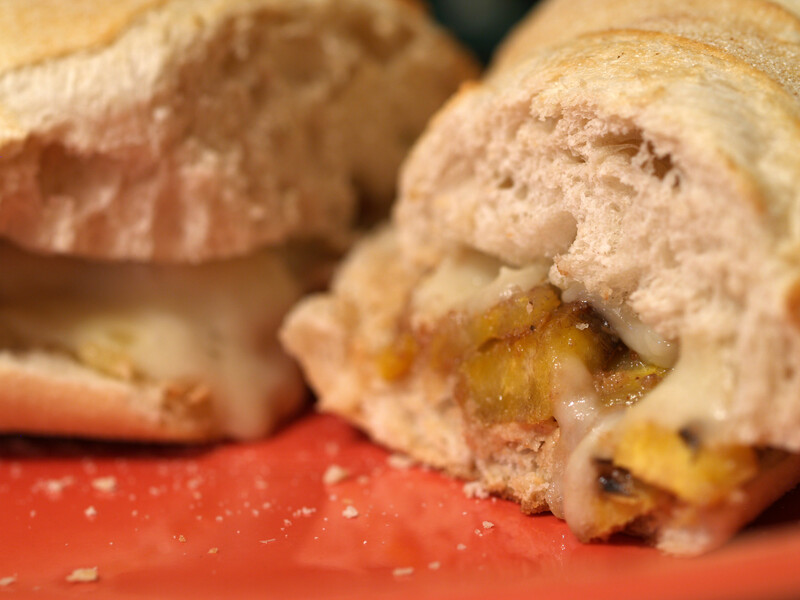 One thing you must make sure is that when you are sauteing the plantains, make sure they are soft or your sandwich will be horrible and chewy. 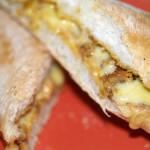 Last grilled cheese might have been a miss, but this one was the exact opposite. I don’t know if I would have made Elvis proud, but I sure was proud! Posted in Grilled Cheese and tagged A Minus, baked, cashew butter, cashews, plantains, sourdough, swiss.